For the ultimate in cab protection, it's The Aluminum Cab Guard. 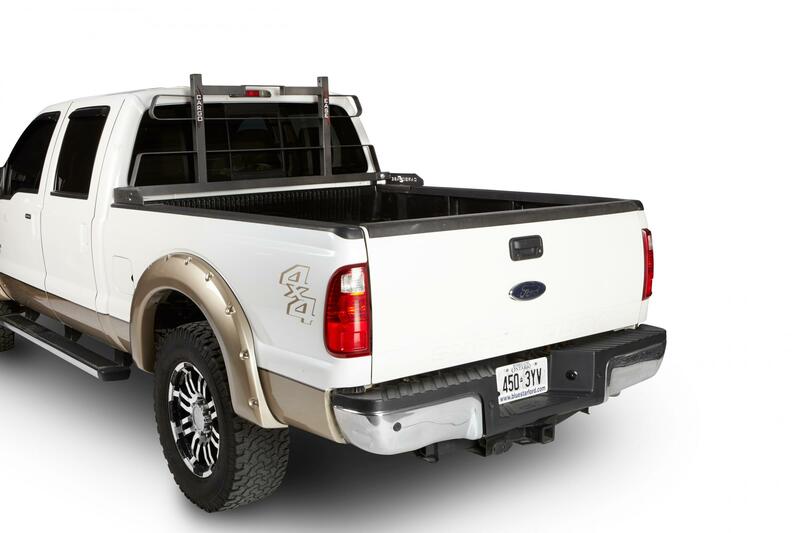 With 100 Per Cent aluminum construction, the Cab Guard is Not only strong, but lightweight as well. It's built with 2 inch Square Tube and 2 inch Flat Bar materials, with 3 layers of protection. It Not only protects, but it looks good while doing it with a Gun Metal Powder Coat Finish. No-Drill Installation makes the install quick and easy. It is also tonneau cover friendly and can be accessorized to fit your needs.